The all-new 2016 Honda HR-V arrived at showrooms nationwide in mid-May. The HR-V marks Honda’s North American entrance into the subcompact crossover segment. 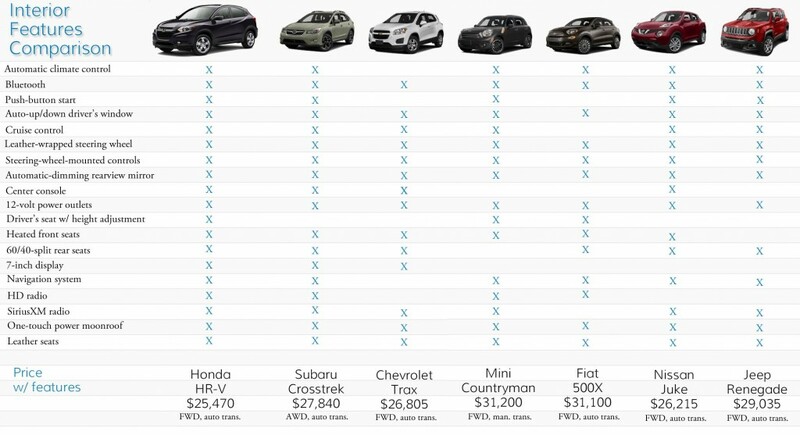 The HR-V’s top competition is the Subaru Crosstrek, Nissan Juke, and Jeep Renegade. 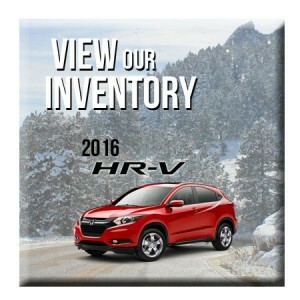 The 2016 Honda HR-V is similar to the Honda Fit, however it is 9.1 inches longer and 3.2 inches taller. The HR-V is also available with all-wheel drive. The HR-V has a 1.8 liter, 4-cylinder engine that makes 141 horsepower. Two-wheel drive models are available with a continuously variable transmission or six-speed manual transmission. The all-wheel drive HR-V gets an EPA estimated 27 city, 32 highway, 39 combined mpg*. The HR-V is available in three trims levels with the base model, all-wheel drive model starting at $21,165. The HR-V comes with several standard features across all trim levels including cruise control, driver’s seat with manual height adjustment, multi-angle rearview camera, 17-inch alloy wheels, and multi-reflector halogen headlights with auto off. The HR-V has 58.8 cubic feet of cargo space with the rear seats down. There are also three ways to configure the HR-V’s interior. Tall mode adds up to 4 feet of vertical space in the second row. With long mode, cargo up to 8 feet in length can be transported with the front passenger seat and rear seats down. Utility mode makes use of the flat-folding rear seats. The 2016 Honda HR-V has plenty of standard features, instead of optional upgrades. The 2016 Honda HR-V has the most cargo space with the rear seats up or down. The HR-V has the most exterior features and for the least amount of money. 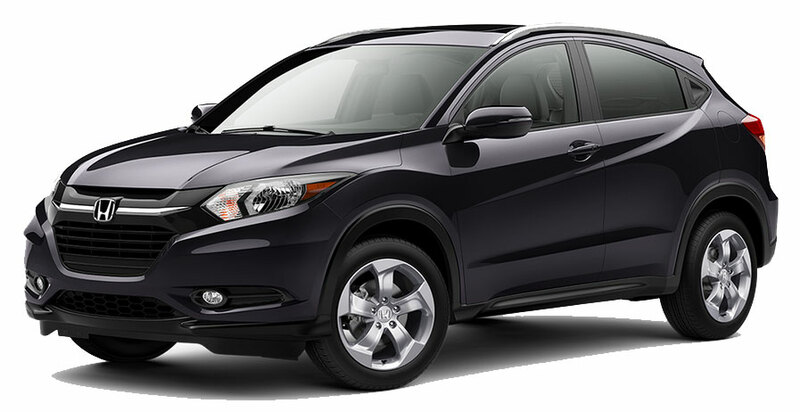 Here’s a quick overview of the 2016 Honda HR-V EX-L model. Call Fisher Honda in Boulder, Colo., at 303-245-6417 to test drive the all-new 2016 Honda HR-V.
*Based on EPA mileage ratings. Use for comparison purposes only. Your mileage will vary depending on how you drive and maintain your vehicle.